We need YOU to keep us growing. Apply for membership and support us! 한국 위키미디어 협회 회원으로 가입하셔서 저희 협회 활동을 후원해 주세요! 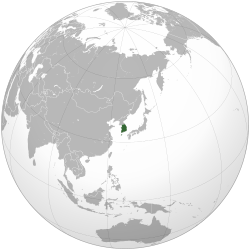 Wikimedians of Korea (한국 위키미디어 협회) is a non-profit organization and a Wikimedia user group by founded by Wikimedia users in Republic of Korea for making diffusion of free knowledge. In 2012, we started a preparatory committee, and in 2014, we held the founding meeting. We aim to make a local chapter of WMF in Republic of Korea. All Wikimedia projects are inner-connected, and anyone can use and participate in it. The biggest project among these projects is Wikipedia, the free online encyclopedia, which is a very popular site. Anyone can approach to knowledge freely using Wikipedia, and Wikipedia has over 16 million articles in 260 languages. Wikipedia and sisterhood projects are maintained by voluntary participations and donations, without ads. Our mission is to support and promote Wikimedia projects hosted by Wikimedia Foundation Inc. We will support and promote the collection and development of educational content under free license and in public domain. To achieve our mission, we will provide infrastructures and organizational system in coorperation with the foundation and individual volunteers, and we will contribute to making and keeping useful information from the Wikimedia projects available on the Internet free of charge, in perpetuity. We operate and fundraise to operate online systems for the creation, collection, and distribution, respectively, of free content, focusing on the Wikimedia projects. We help accquire, distribute, and use information about free content, wikis and the Wikimedia projects, and promote free contents, wikis and the Wikimedia projects through events, informational materials, or others. We distribute and support the distribution of free content by other means, e.g., in digital or printed media, focusing on content from the Wikimedia projects. We develop and lead ways of developing and expanding educational content under free license and in public domain in the Wikimedia projects and other organizations. We resolve scientific, social, cultural, and legal questions related to free content and wikis, e.g., with expert opinions, scientific studies, and awarding of scholarships. On April 14, 2017, we held an exhibition for Wiki Loves Monuments 2016 in South Korea competition. In May 2017, we participated in Wiki Loves Earth as an organizer. In September 2017 we participated in Wiki Loves Monuments as an organizer. On October 14, 2017, we held WikiConference Seoul 2017. In May 2018, we hosted Wiki Loves Earth photo competition. On October 6, 2018, we held WikiConference Seoul 2018. We will run a vote for Wikimedians of the Year on Korean Wikipedia until December 25, 2018. On December 29, 2018, we hosted a year end party for Wikimedians in Seoul. As an independent organization from WMF and Wikimedia community, We DON'T have any right to give adminship for Wikimedia projects or to control the administrators. This page was last edited on 30 March 2019, at 22:06.